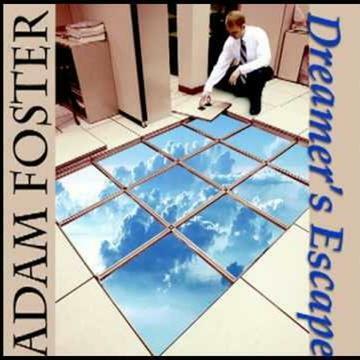 Adam Foster – Dreamer’s Escape | NoCoda. What It Sounds Like: While Adam’s songwriting is rooted in folk, his music exhibits heavy elements of blues and classic rock as well, along with insightful, almost quirky lyrics that only add to the rewarding experience that is Dreamer’s Escape. When you’re holding two guns? Life is far from over, but Nashville singer/songwriter Adam Foster is already looking backwards at what he going to be able to say about his when it starts to come to its inevitable close. When I reach my final years, I’ll just ramble on about stories that nobody even wants to hear, he sings on the record’s opening track Old And Grey. When I am old and I can’t run, I’ll sit on my porch with a torch burning bright for my younger days. It’s a fitting mid-tempo start to Dreamer’s Escape, a record full of sly hooks and burning images crafted from somewhere deep within Adam’s subconscious. These tracks sound personal, created to explore one’s own mind, with little thought simply to write within certain barriers to make a cohesive record with easy-to-swallow lyrics. Its ten tracks are a journey from folk to rock, and from mourning and regret to optimism and drive. He swaggers and struts through the barroom, rocking and showing confidence in The Middle Lane, but restrains his ego and dives even deeper on the mellow When You Let Your Dreams Die, and the melodic and memorable Seeking Salvation From The Blind. Don’t pigeonhole this release; you’d surely be mistaken. I love All My Years Of Living. It’s a quirky festival of banjo picking and haphazard drumming that almost seems thrown together in the best way possible. This is a late night, drunken sing-along if I ever heard one. On the street I find some money / But I spent it on silly things / Videos games and chewing gum and spider rings / Now I’m still in debt / But I walk down the road of no regrets. It’s classic, and an easy crowd favorite – something about it makes me feel that Rivers Cuomo would approve. It’s in stark contrast to the smoke-filled and dead-serious Stop Putting Me On, or the more seemingly lighthearted, but still strikingly honest We Don’t Need To Be In Love, which has one of my favorite melody lines on the record. Foster can’t be easily be put into a box. If he writes it, and he likes it, he records it – simple and plain, without the thought of making sure it fits in perfectly with the rest of the material at any given session. That’s my style, and I respect it. His current endeavors have actually steered away from the softer moments that we find on this record and involve some more throwback garage rock ‘n’ roll styles, as seen in his current band Adam Foster and The Phantoms. But as far as Dreamer’s Escape is concerned, diving in will certainly leave you satisfied. It’s a solid outing.